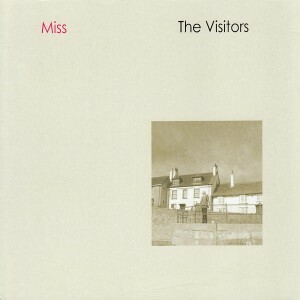 The Visitors split up sometime in late 1988, after three or four years of Devonian pop isolation. In that time they achieved one flexidisc, one play on John Peel, a handful of enthusiasts and a clutch of fine pop songs. They had become heartily sick of being called the cream of Devon. The sought-after flexi, which featured the Visitors' Goldmining, was issued on the Sha-La-La imprint, and has maintained a steady band of admirers since its release in 1988. That aside, all anyone ever heard of the Visitors was on tape, passed from hand to hand and degrading with every copy made. Matinée Recordings has crossed the Atlantic to dig out the original tapes for Goldmining and ten other pop gems, all dating from 86-88. These songs, as much as many of The Visitors' contemporaries', perfectly capture something about being a teenager, and are lost treats from a time when a particular kind of pure guitar pop still roamed the streets of the small-towns and suburbs of the UK. These days, you're more likely to find a former Visitor drinking in London, Tokyo, Bangkok, Nepal or Brisbane than you are to find one nosing around the lanes of East Devon. But you can still hear them cutting their teeth to the Sound of Sidmouth.